Jason Maskiell is confident of claiming another stakes race win on Tasmanian gelding Hellova Street. Jockey Jason Maskiell has a real soft spot for Hellova Street and is confident he can add another victory on the quality Tasmanian gelding in the Listed Anniversary Vase at Caulfield. Maskiell has ridden the Scott Brunton-trained gelding in eight races over the past 14 months for four wins, three seconds and a third. The now Victorian-based jockey’s victories on Hellova Street have all been in his native Tasmania, including three Listed race victories. 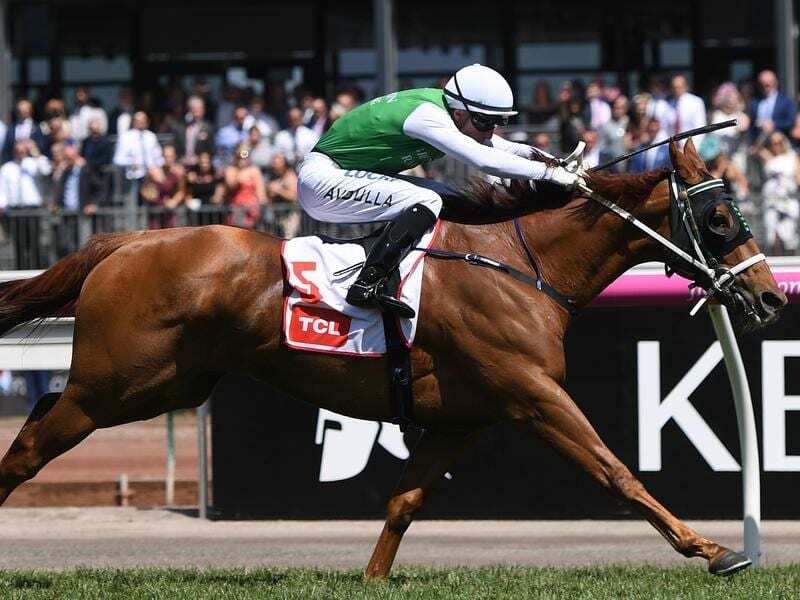 They have also combined for a Group Two Blamey Stakes placing at Flemington last year while most recently they finished a close second to Widgee Turf in the Listed March Stakes (1400m) at Flemington on March 16. “We’ve got a really good association and we just click,” Maskiell said. Earlier this preparation Hellova Street was chased down by three-year-old Mystic Journey in a 1400m weight-for-age race in Tasmania but that form has also been enhanced with the Adam Trinder-trained filly going on to win the Group One Australian Guineas and $5 million weight-for-age All-Star Mile at Flemington. “His form lines are really really good,” Maskiell said. “Streets Of Avalon ran third in the race the other day and has since come out and won the Hareeba Stakes and Widgee Turf is going to the Doncaster on Saturday. “So the form line looks very good and he’s a tough horse. “It was interesting to see him take a sit the other day and still have a go, where usually he has been a bit one-dimensional. The Anniversary Vase is the feature race on Saturday’s Caulfield program and eight-year-old Hellova Street has top weight of 60kg in the field of 15 plus two emergencies. Maskiell says Hellova Street is used to carry big weights so was not concerned about the weight. The Mick Price-trained Heptagon was the early $4.40 favourite on Wednesday with Hellova Street at $6.